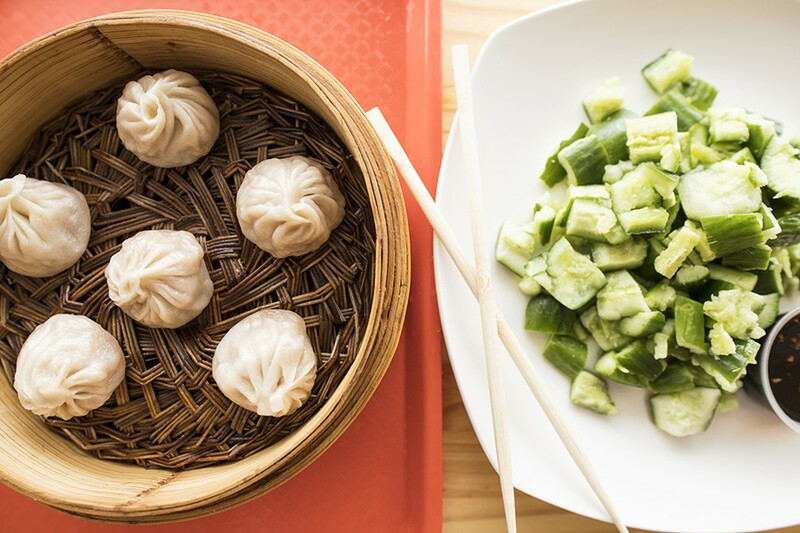 Soup Dumplings STL specializes in exactly what its name promises, offering options stuffed with pork, chicken or even shrimp and cheese. On a small shelf, just behind Soup Dumplings STL's display case and order counter, sits a small golden statue that looks uncannily like the Bocuse d'Or. Standing roughly ten inches tall, the shiny gilded figure of a chef clad in formal whites and toque, arms folded across his chest, is the food world's equivalent of an Oscar — an award bestowed at the world's most prestigious chef competition, held biennially in Lyon, France. And here was what appeared to be that coveted statue, displayed unassumingly in the middle of a bare-bones soup-dumplings shop on University City's Chinatown strip. The woman behind the counter sensed my incredulity and asked if I wanted to see it. As she pulled it down, I realized that it was, in fact, not real, but rather a replica statue with an inscription that read "Best Chef in My Heart." "He got it as a joke," the woman laughed, but the fact that I was momentarily convinced that Soup Dumplings STL chef Lawrence Chen had received the top culinary award on the planet speaks volumes about his talent. Lawrence Chen entered the city's coterie of top chefs with Private Kitchen. 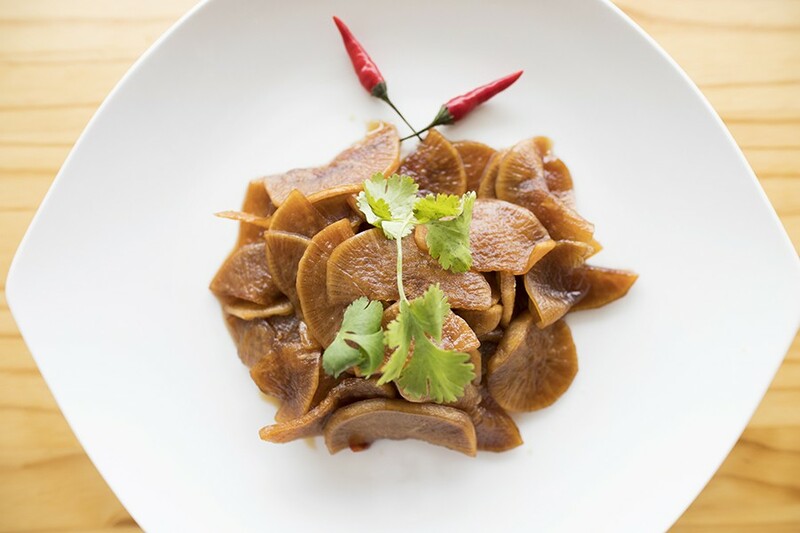 In just a few short years, Chen has gone from an unknown cook at the Americanized mainstay Yen Ching to one of the city's best chefs, an ascent driven by the success of his groundbreaking tasting-menu restaurant, Private Kitchen. When Chen opened Private Kitchen in early 2015, the words "tasting menu" were reserved for the sort of Continental-influenced restaurants that consider the namesake of the Bocuse d'Or as their founding father — at least in St. Louis. To put it bluntly, if you wanted to go out for a white-tablecloth dinner, chances are, your chef would match the color of the linens. 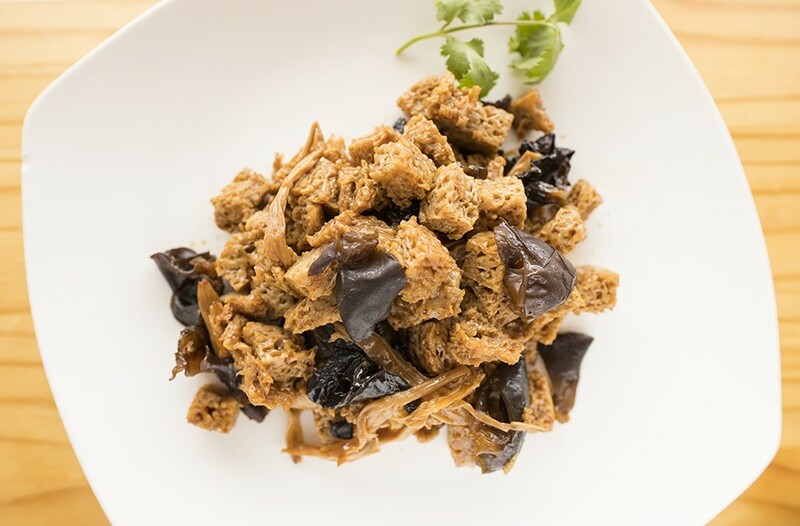 Chen shattered that conception with Private Kitchen, pushing us to see Chinese cuisine in a light outside of Americanized dishes, traditional fare and dim sum. It's not clear whether this was his original intention, though, or whether he was simply looking to run a fine-dining restaurant for the city's Mandarin speakers. When the restaurant first opened, the only way to secure a reservation was by sending a text message to Chen through the Wei Chat app, then waiting for him to respond with a screenshot of a menu. Not only did you have to reserve your spot in advance, but you also had to select your dishes. Chen would then head to the store, buy exactly what he needed and create a meal based on your preferences. It's a creative way of doing business, but it has one drawback: It makes Private Kitchen seem inaccessible to the casual diner — because, in a sense, it is. A dinner at Private Kitchen involves some level of production. It's worth it, but it's also a hassle. And while it's only a slightly annoying one for a first-time guest, for anyone who'd tasted Chen's legendary soup dumplings, our inability to devour them whenever the craving hit felt positively painful. Pork soup dumplings are paired here with a side of cucumber with garlic sauce. Last September, Chen decided to give his loyal guests what they wanted, opening Soup Dumplings STL in the storefront adjacent to Private Kitchen. 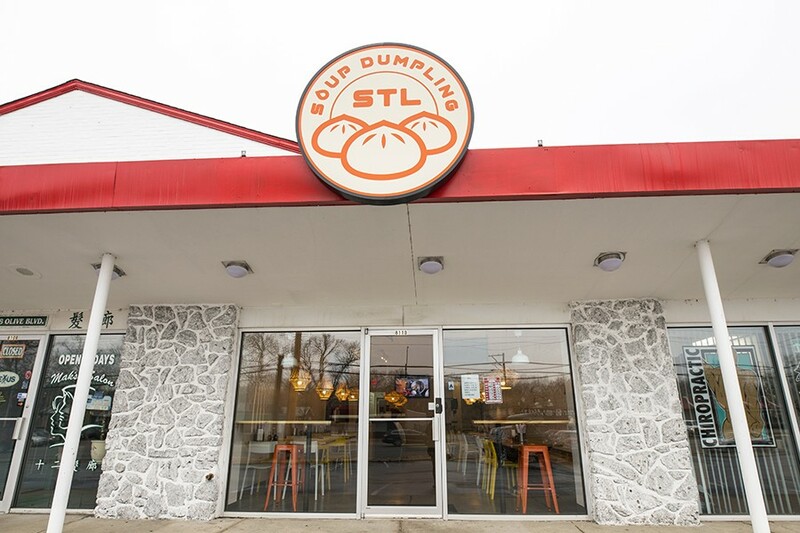 Unlike its elegant older sister, Soup Dumplings STL is a casual spot designed for walk-ins and carryout. The design of the restaurant drives home this difference. Unlike his other restaurant's formal dining room, complete with posh, upholstered chairs and elegant tableware, the Soup Dumplings STL space is sparsely appointed, bordering on unfinished. 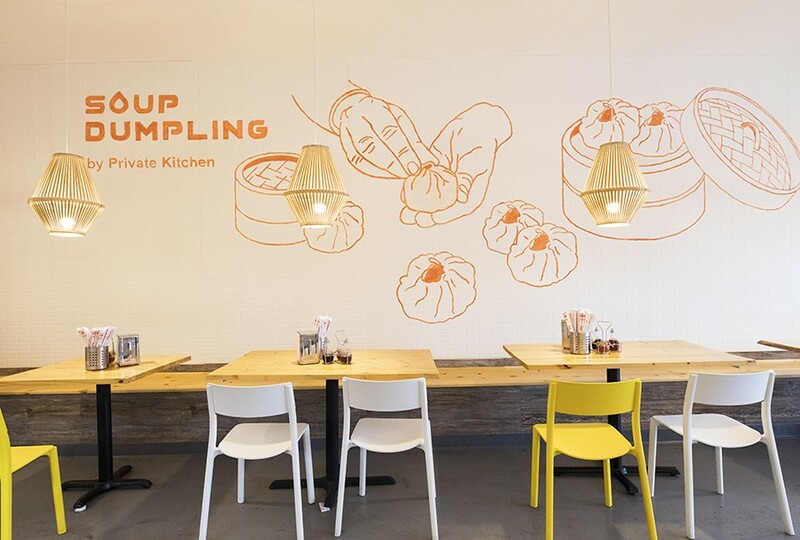 The room is outfitted with cement floors, wooden tables, a long bench, plastic chairs and white drywall; an orange mural with a soup-dumpling theme is the only decoration, save the wooden lanterns that hang from the ceilings. 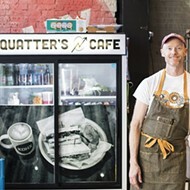 It's comfortable enough, but the feel is austere, and the setup is fast casual. 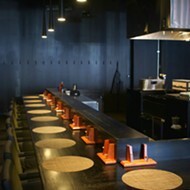 Guests order at a small wooden counter near the back of the restaurant, then wait for their food to be delivered. By food, I should just say dumplings. 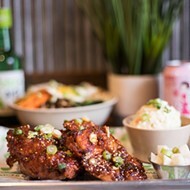 For his sophomore effort, Chen's menu is as sparse as his décor, limited to five different types of soup dumplings and a couple of prepackaged cold appetizers in a display case next to the order counter. You might not want for anything more. 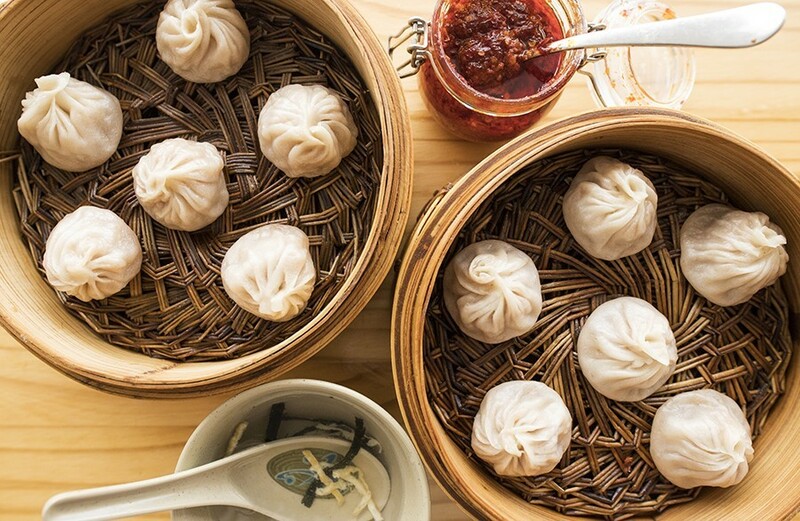 Chen's soup dumplings are delivered to the table in traditional wooden baskets within minutes of ordering. They are dazzling, pearlescent beauties, their texture so delicate, it makes you wonder how the exterior skin holds in all the liquid and filling. The dining room offers no frills. If you've never had a soup dumpling, eating them can seem tricky at first, but do not be intimidated. Simply pluck one out of the basket with your chopsticks, then pierce a hole near the top of the dumpling to let out the steam and slurp out the savory nectar before eating the skin and filling. Depending on the variety you choose, this might be tender pork, filled with a delicate sweet-and-savory jus that tastes as if a brown-sugar soy glaze were turned into a consommé, or one filled with ground chicken and a deep, roasty chicken broth that is nutty and slightly sweet. If the pork and chicken dumplings are understated, the beef version delivers a wallop of intensely savory flavor. For these, it's as if Chen packed the entire essence of pot roast and bone marrow gravy into a meatball and broth. The beef flavor is so concentrated, it renders any spices or herbs positively unnoticeable. If you had worried about making a meal simply from an order of dumplings, this hearty dish will leave you wholly satisfied. Cold side dishes include marinated spicy radish. Chen's crab-and-pork dumpling might seem like a questionable pairing, but the two ingredients work together beautifully. Small shreds of the shellfish add a subtle sweetness to the savory pork without taking over. In this broth, Chen adds just a whisper of truffle oil, infusing the liquid with a rich, earthy pop of umami that lingers even after the last bite — haunting you so much that you might feel compelled to order a second round. Another interesting, and successful, combination comes inside Chen's shrimp-and-cheese dumplings. Typically, pairing seafood and cheese raises my eyebrow, but these prove to be an exception. Rather than being a cheese-filled goo-bomb, the dumplings contain only a touch of mozzarella. It's mixed in with the ground shrimp to make the filling creamy and has the added bonus of absorbing the shrimp's delicate flavor. The result is a rich, sea-like flavor that has just a punch of funk. It's masterful. Another prepared offering: braised wheat gluten with mushrooms. For dine-in guests, every order of soup dumplings comes with a small bowl of chicken broth, garnished with a few shreds of nori, that is meant to be more of an amuse bouche than a first course. 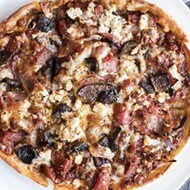 If you want something more substantial to pair with the dumplings, your choices are limited to a couple of prepared cold appetizers like smoked fish, a tofu-and-mushroom mixture, or a delectable tray of cold radishes whose soy-forward sauce belies a punch of red chile heat that creeps up and coats the entire mouth. This crisp, spicy dish provides a pleasant contrast to the main course of soft, umami-heavy dumplings. People begged Chen to give them another outlet for these superb dumplings, and he took them literally. However, his acquiescence may be Soup Dumplings STL's only real flaw. 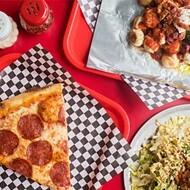 The menu is so limited that the concept seems better suited to a food stall in a pedestrian area or a dense Chinatown neighborhood, not a restaurant in a part of University City that nearly every single patron is getting to by car. Even with the handful of cold dishes available from the display case, it seems incomplete. I found myself unsure as to whether I had eaten a full meal or just some appetizers for a main course that would not come. Knowing the glory coming out of the shared kitchen for the diners next door at Private Kitchen, I wanted more. 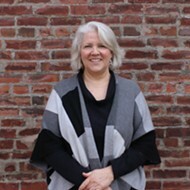 The success of Soup Dumpings STL could depend on Chen's willingness to give us that. This seems to be a theme for Chen. He's a man so talented, so good at whetting our appetite that he leaves us begging him to do more — and even when he does, we still aren't satisfied. This is the curse of his greatness, but it also ensures he will be the "Best Chef in Our Hearts" for many years to come.